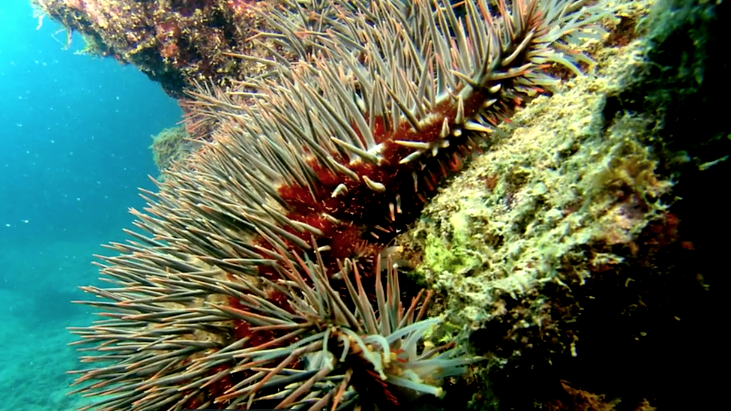 We are currently in the midst of a Crown-of -Thorns crisis with the latest outbreak of thousands of deadly Starfish discovered eating away at the southern end of Swains Reef, off Yeppoon. Crown-of-thorns starfish are endemic and the coral-eating starfish plays an important role on reefs as it feeds on the fastest-growing corals such as plate corals, allowing slower-growing species to form colonies, increasing coral diversity. But when normal cyclic COTS outbreaks start occurring with increasing frequency, coupled with the current coral bleaching crisis, human intervention is critical. 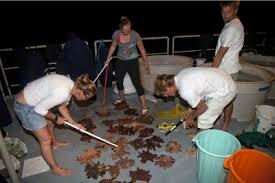 The general consensus among scientists is that COTS numbers and outbreaks have increased for two reasons. Excessive nutrients in the water caused by coastal and agricultural run-off into the ocean. 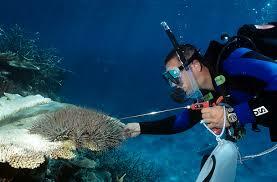 This promotes plankton blooms, which feeds crown-of-thorns starfish larvae. Decline of natural predators such as the giant triton snail, humphead Maori wrasse, sweetlip emperor and starry puffer fish. As part of a collaboration between government agencies, industry and the community, a major culling exercise is currently underway at Swains Reef with a group of 25 divers aiming to kill 1,000 crown-of-thorns starfish per diver per day. The federal government has also recognised the need for intervention and promised $10 million on an “all-out assault” on the crown-of-thorns starfish, with the number of culling vessels increased from three to eight. For decades divers have been logging hundreds of hours eradicating this devastating starfish from targeted sites but there just aren’t enough people to cover all the COTS hotspots across the Great Barrier Reef. 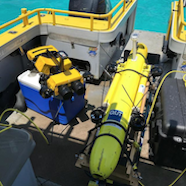 Introducing the The Great Barrier Reef’s newest protector – COTSbot – the world’s first underwater robot to control marine pests. 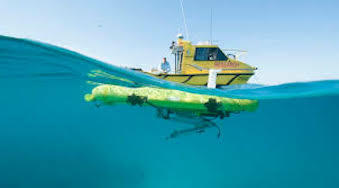 In development for over 10 years at Queensland University of Technology, the COTSBot looks like a ‘Swiss army knife’ style remote control toy submarine. 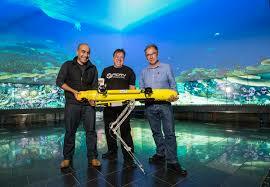 Creator and roboticists, Dr Matthew Dunbabin and Dr Feras Dayoub worked with the Great Barrier Reef Foundation to further develop COTSbot into the new generation low-cost multipurpose RangerBOT, winning a $750,000 grant in the Google Impact Challenge Australia, a competition which helps not-for-profit organisations develop technologies that can help to tackle the world’s biggest challenges. 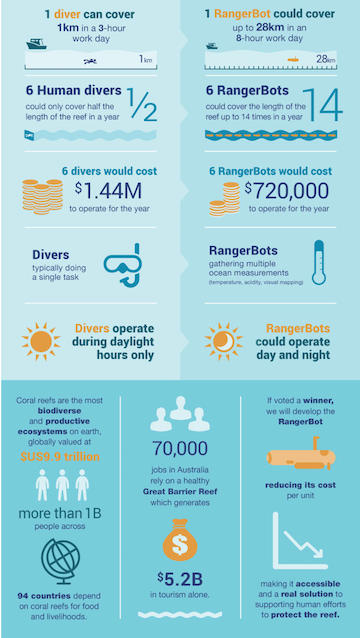 A breakthrough by the ARC Centre of Excellence for Coral Reef Studies at James Cook University, also contributed to the practical feasibility of RangerBOT with of a one-shot injection method using simple bile salts. The Great Barrier Reef Marine Park Authority considers the escalating impact of Crown-of-Thorns a threat equal to climate change. This innovative reef preservation solution will benefit Earth’s largest living organism and the 69,000 people relying on the Great Barrier Reef for their employment as well as the billion who depend on coral reef ecosystems as their main source of food. 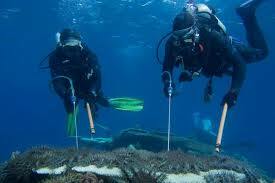 Anyone who visits the Reef can help too. Through the Great Barrier Reef Marine Park Authority’s Eye on the Reef program, you can report sightings of the deadly starfish. This assists the marine park managers with monitoring and identifying any trouble spots where further investigation and action may be needed. The team hope for a fleet of RangerBots to be working autonomously in 2018.